I LOVE Epionce products! I have used [other brands] and I always, always come back to Epionce. The reason for trying others has to do with facials at medical spas and getting talked into trying something. Well, I know my skin and Epionce outperforms all of the others! ...thank you for creating something so amazing that I have started to love my skin again and the way that I look...not only because [Epionce is] helping my skin, but it actually feels good... thank you for being so impactful in my life. I have a very stubborn/persistent eczema patch on my leg that I have seen two dermatologists, tried...every OTC lotion...and [Epionce Renewal Calming Cream] is the first cream that has truly made a difference in both the constant itchiness and scaling...for me, this is a hero product. I found Epionce...and my life was changed. My skin went from feeling hard and quite frankly stressed from breakouts between the harsh chemical components and the humidity here, to soft, stunning and thriving! My skin feels alive and well, [and] I would never again put all those harsh chemicals on my skin, especially knowing now how healthy my skin is thanks to Epionce! I wish I could sell this product to every beautiful face I see! Everyone needs these products in their life for skin success! 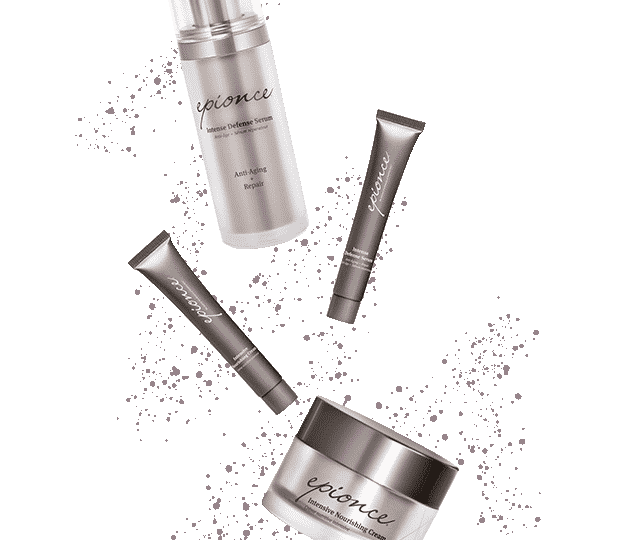 I have been a fan of Epionce products from Day 1. I [have used] the Intense Defense Serum + Lytic Tx + Renewal for my skin type [for the] last 3 years and I look 20 years younger than my age. That's the secret of my youthfulness that I share with people. Epionce really works! I never knew my skin needed help until I began using Epionce. It took a turn for the better when I didn't even know I needed it! Thank you! Hands down the best products I've ever used. I tell all my friends & family about Epionce. I have struggled with my skin since my teenage years. After going on Accutane twice in undergrad, in my late 20s my skin was relatively breakout free, but rough, uneven and dull. Since high school, I’ve always used moderately priced “quality” skincare products so I wasn’t sure why now, in my late 20s, my skin now seemed so flawed. I [was] recommended the Intense Defense Serum and Lytic Tx. I walked out with both and it has transformed my skin in just weeks. I’m radiant with minimal makeup, and my face feels so soft and smooth. I firmly believe Epionce is meant for all skin types. I have used this product for over a year now. I have never been this satisfied about a product before. Before I tried Epionce, I was very dissatisfied with my skin. Epionce has changed the game! I will never use anything else. I love Epionce. It works! It fits my lifestyle. It is safe and effective! I own my own medical aesthetics practice. I constantly get compliments on my skin, and yes it's gorgeous thanks to Epionce. It's the ONLY skin care line I carry! I have used Epionce for 4 years now. It's changed the texture of my skin. I have used the products since starting [my] business almost 9 years. I have tried others from other lines, but have always returned to Epionce because I feel results are the best...I look younger now than 9 years ago. 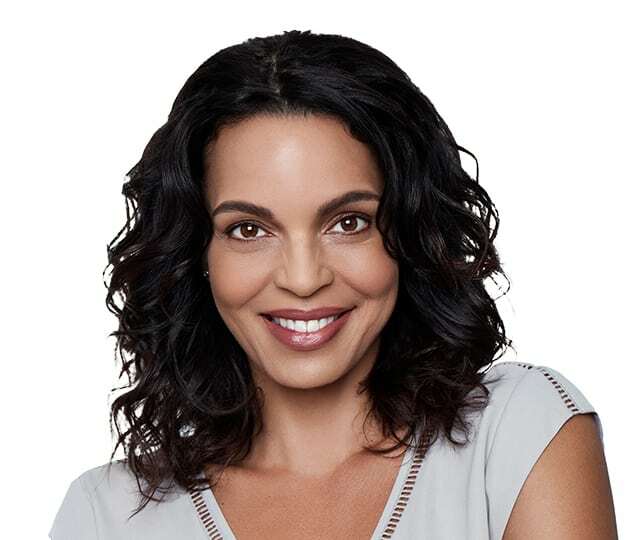 I am so pleased to have a skin care company that provides the research to backup the integrity and science behind this amazing product line...It is a pleasure to work with Epionce. I have been using the [Epionce] line for over two years now and will not carry any other line in my spa! I love the science behind it! I have been using Epionce for two years and noticed a complete change in my skin in my 50s. People ask me all the time what I use on my skin. My skin has been forever changed and I have never been more satisfied with my skin care regimen. I am so happy to have been introduced to this amazing line! The compliments on my skin have increased significantly since beginning Epionce. My skin is smoother and brighter, and I'm definitely wearing less makeup to "cover" my imperfections. People who don't know what I do for a living compliment my skin. Even in the line at the grocery store! I ONLY use Epionce products and always will. I have been using [Epionce] now for about 10 years or so. I am age 62 and have few wrinkles. My face has benefited from using this. It is amazing! My skin continues to look younger, brighter and more dewy. The science behind the Epionce products is unsurpassed. I will never use any other product line. Not only has Epionce revolutionized our clinic and options for our patients, it has revolutionized by own personal skin appearance. This company has my utmost respect for their dedication to clinical studies and using only the best ingredients. I use and strongly recommend Epionce products. Epionce works for all skin types and you have noticeable results right away. The tone and texture of my skin has changed dramatically since using Epionce. Epionce is like clean eating for your skin. I never knew there was a line that all the natural ingredients and be able to back it up with research. It truly works and I am excited to finally use this line. My patient...noticed improvement in redness in only 2 days after having no results with any other product. AMAZING! and it has LASTED! I truly believe in Epionce products and appreciate the studies behind the product. The compliments on my skin have increased significantly since starting with Epionce. My skin is smoother and brighter and I’m definitely wearing less makeup to cover my imperfections. People who don’t know what I do for a living compliment my skin, even in the line at the grocery store! I only use Epionce products and always will. I began using Epionce six months ago. I followed the recommended system and my skin looks beautiful! I receive compliments from everyone – family, friends, and strangers. I love Epionce! I really appreciate having an effective skin care line that is also healthy. I have very sensitive skin and feel that Epionce is the perfect product for my anti-aging and skin protection regimen. Epionce is the perfect product for our practice. It has made me much more successful and knowledgeable. I love that the products are user-friendly and made with ingredients I can explain to clients. I love this line of skin care products, and have been using the line for over a year now. It's really great for sensitive skin and all types-dry to oily. [The Lytic Tx provided] immediate relief from inflamed, irritated skin. I struggled for days with redness on my face, my pores looked large, skin was tired, looked unhealthy. I got a sample at a plastic surgeon`s office and it calmed everything down like 70 percent the very first time I used it! Nothing ever worked that quickly and that well. Within 2 days my skin was beautiful, healthy, pores were hugely improved, it really worked amazingly! [Lytic Gel Cleanser] does the job of removing dirt, make-up, and impurities very very well. Feels amazing on the skin and does not dry out after wash. Highly recommend it!!!! I switched to Epionce from [another product line] and I love it! I have yet to find a product that I can truly say this about. Within 2 days the texture of my skin changed. It feels smooth, not like chicken skin anymore. My make-up goes on evenly and I feel like I use less makeup. When I look at my face in the mirror I can see my skin looks healthier. I can feel it working! I had a young man come in for a skin consultation. He had been on a topical steroid for very dry skin. His dermatologist took him off the steroid, and he was in a panic because he didn’t think there was anything else he could do. I gave him Epionce samples. He came in the next day and purchased all the products I had given him because it had totally worked! After just a few weeks of using Epionce, I could see a difference. I have never been a believer in creams and potions but Epionce is really amazing! I confidently recommend Epionce because of the science supporting the technology and the consistent positive feedback I get from my clientele. I appreciate that it is botanically based, super effective and does not contain parabens, fragrances, or sulfates. It smells and feels wonderful to use and is cost effective. It’s one of the best all-around skin care lines, if not the best. I am thrilled I came across Epionce! I have depended on medications for years. With Epionce I have been able to completely eliminate [other products] and I am beyond thrilled with my skin. Not only has it cleared, but the texture and radiance have also improved. I have been studying and using Epionce for about 8 months now and have seen nothing but good results. The products have given my skin a smoother and more even texture. I have used them in the treatment rooms and seen amazing results in...the overall health of the skin in my clients. Epionce is my favorite skin care line and I believe in it 100%. My skin has improved 100% since using Epionce! My skin is often bumpy and clogged and now has some sun-damaged spots. Since I have been using the Epionce products, I can see and feel a real difference! I went from having beautiful skin to hormonal skin due to menopause. I was experiencing irritation, sensitivity, scaling, breakouts and minor pigmentation. My skin is back to being complementary and I am a believer! The [Essential Recovery] Kit with the Priming Oil has been a “skin savior” after an ablative treatment such as the CO2 or Pixel! Even my most sensitive patients can use the Epionce products without any irritation, less breakouts and fewer bumps develop after treatment. We literally see a full day to two days faster recovery time. Plus, our patients love the way it soothes the skin! The Lytic Gel Cleanser is like liquid gold, I can’t imagine my life without it.